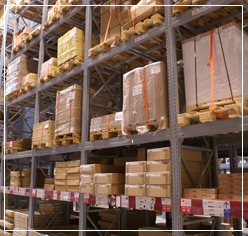 Stay stocked at all times with warehouse storage from American Warehousing of Jackson in Jackson, Ohio. We have a massive amount of space that allows for a full stock, and this leads to plentiful profits. To handle your heaviest lifting, we offer a forklift with a capacity of 5,000 lbs. to 15,000 lbs. Our certified forklift operators always handle your stock with the utmost professionalism and care. Additionally, you can rest assured that your goods are protected at all times, as our fully insured facility is both fire and theft secure. Contact us to get the solutions that lead to your success with our warehouse storage.